Bagri Foundation has been supporting the Asia House Literature Festival since 2014 and are deeply proud to champion a vital space dedicated to vibrant, diverse writing from and about Asia and the diaspora. The 12th edition took place from 10 September – 6 November 2018, with an exceptional line-up of best-selling authors, top Insta-poets, comedians & journalists. 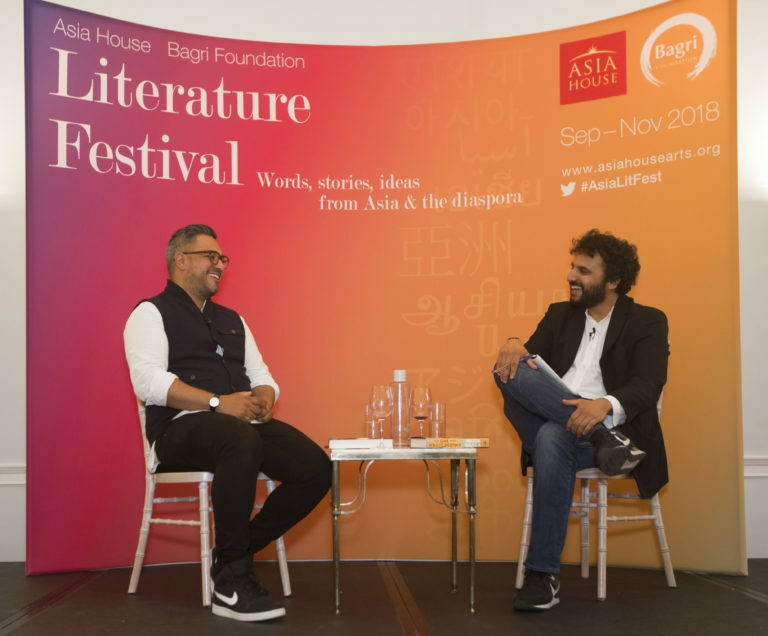 It opened with writer Nikesh Shukla in conversation with comedian Nish Kumar about British Asian identity and Shukla’s new novel The One Who Wrote Destiny. It also featured Abir Mukherjee; women’s rights activist and novelist Elif Shafak in discussion with Nus Ghani MP writing, faith and politics on 18 September; award-winning novelist Louis de Bernières on his most recent title So Much Life Left Over against the backdrop of 1920s Ceylon, on 17 September; and Denmark’s first female imam Sherin Khankan on 8 October. On Saturday 15 September, a full-day events programme was dedicated to inspiring women writers, including Broadcaster and Today programme presenter Mishal Husain on her timely new book The Skills; Wei Ming Kam and Soofiya Andry who discussed their contributions to the new intersectional feminist anthology Can We All Be Feminists?. You can see the full 2018 programme here. Asia House is the Centre of Expertise on Asia, and London’s most vibrant and creative hub for Asian arts and culture. It is completely unique in the UK in presenting a thought-provoking, pan-Asian artistic and cultural programme. Through its Arts and Learning Programme, Asia House’s mission is to inspire and engage diverse audiences by encouraging dialogue aimed at finding common ground amongst different schools of thought on how to look at Asia’s historical and cultural development. This is done through a dynamic series of live events; from panel discussions to music, dance, performance, visual art, film, food, fashion and literature. Asia House is a UK registered charity.